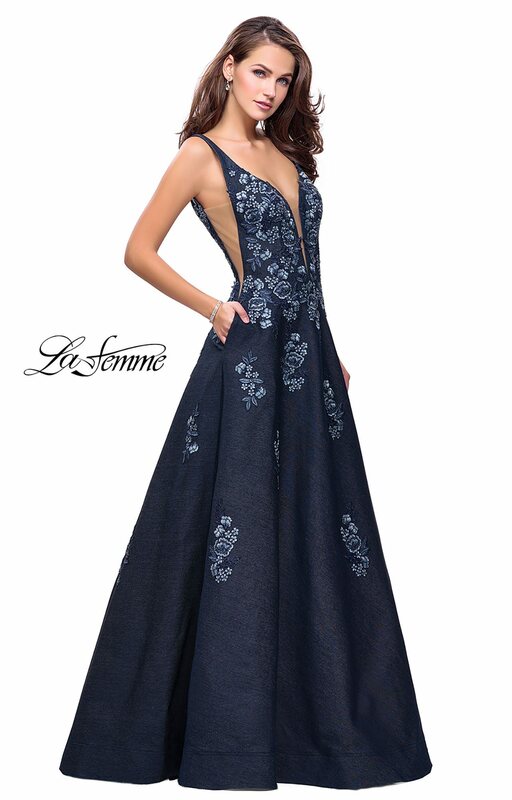 Make a lasting impression in La Femme 26265. 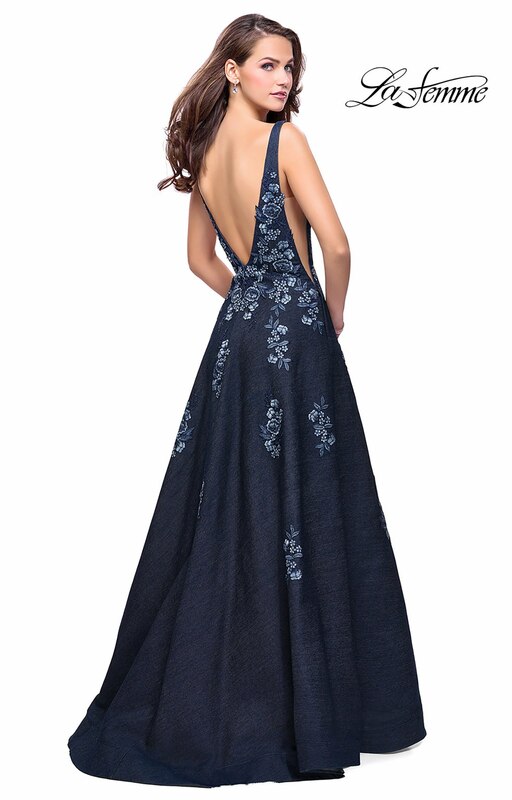 This sweet A-line dress is constructed of a denim material, making it so unique! 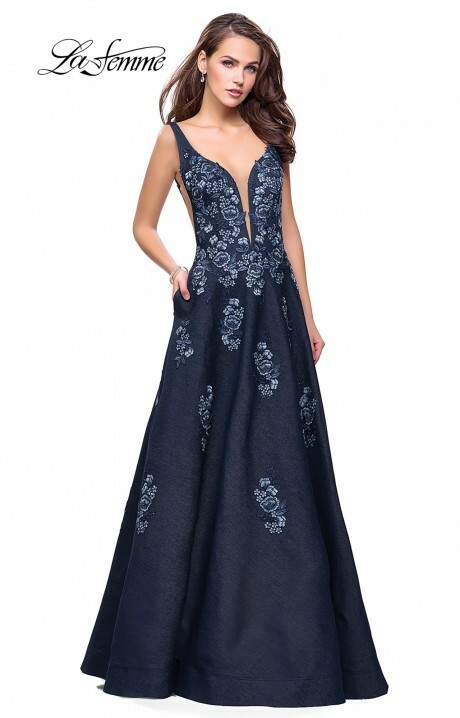 A sweetheart neckline bodice with side illusion panels and an open back is held into place with straps. Beaded floral appliques adorn the bodice and cascade away as it nears the bottom of the skirt. Complete with a set of pockets for convenience.